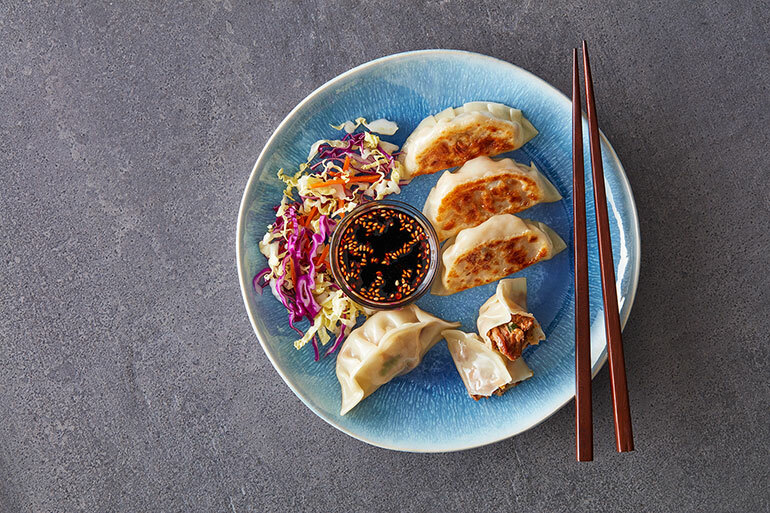 The possibilities for dumplings are endless; either authentic Asian-style or filled with unexpected ingredients, these deliciously doughy morsels are made to be devoured. Could 2019 be the year of the dumpling? According to Datassential’s FLAVOR report, 60 percent of consumers are in love—or at least “in like”—with dumplings and all of their doughy, meaty charms. At the University of Virginia, dumplings stay true to their Asian street food roots. 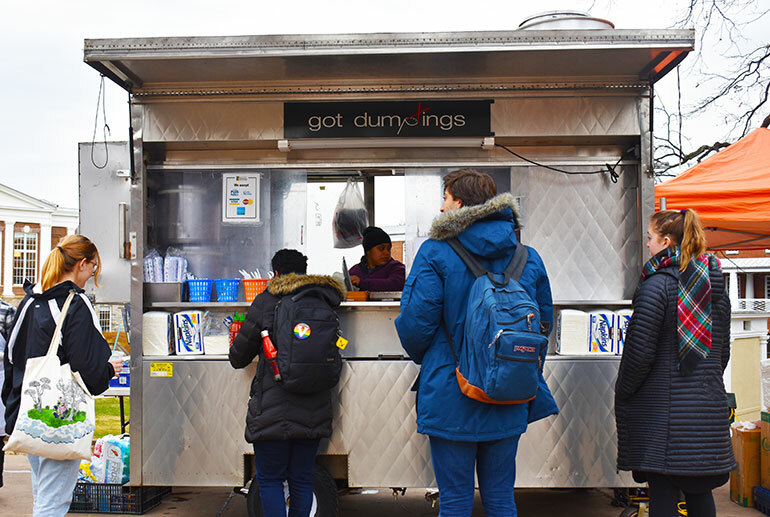 Got Dumplings, a local food truck (and now brick-and-mortar restaurant) partnered with Aramark and UVA Dining in 2011 during dining hall renovations. 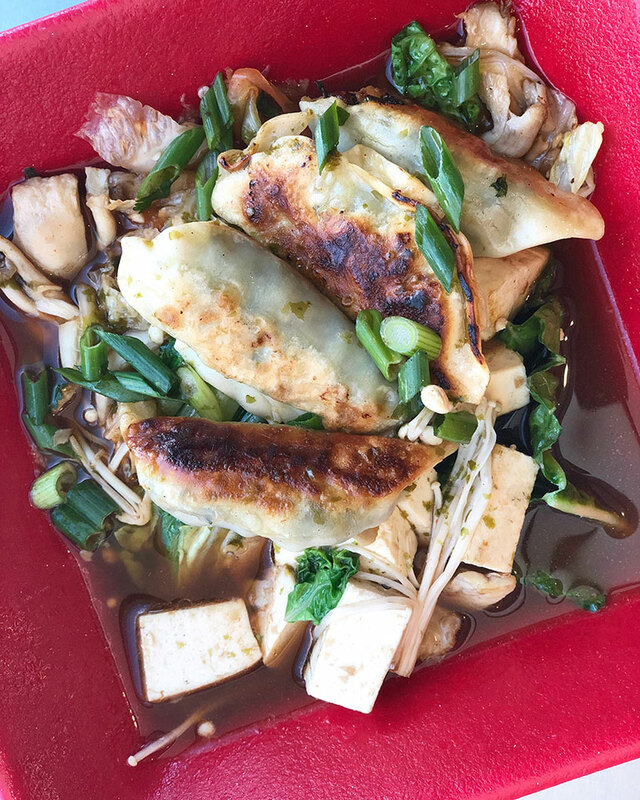 Now, the food truck is still truckin’, and Got Dumplings has a spot on the monthly restaurant pop-up rotation in the main dining hall. 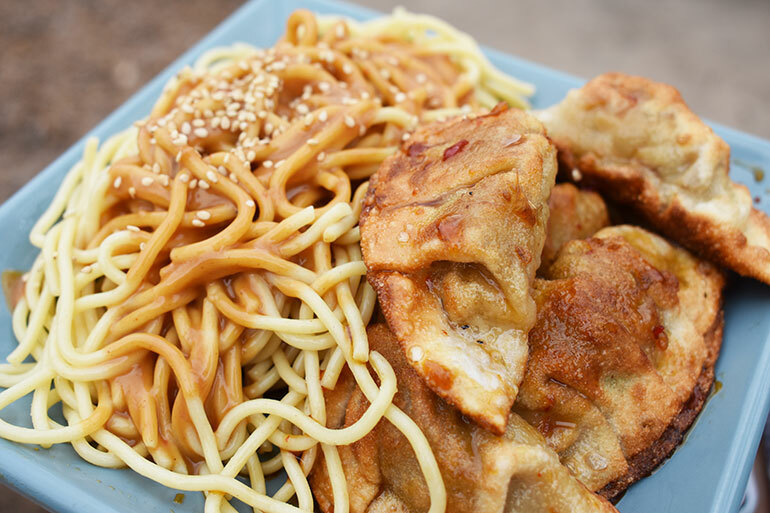 Pork fried dumplings and peanut noodles are menu stars, making a hearty plate for a winter day on campus. The Conde Nast Café is one of Restaurant Associates’ accounts that has rolled out Simmers, a soup concept. The dumpling soup features crispy dumplings with cubes of tofu, kimchi and delicate mushrooms in a garlic-chili vegetable broth. 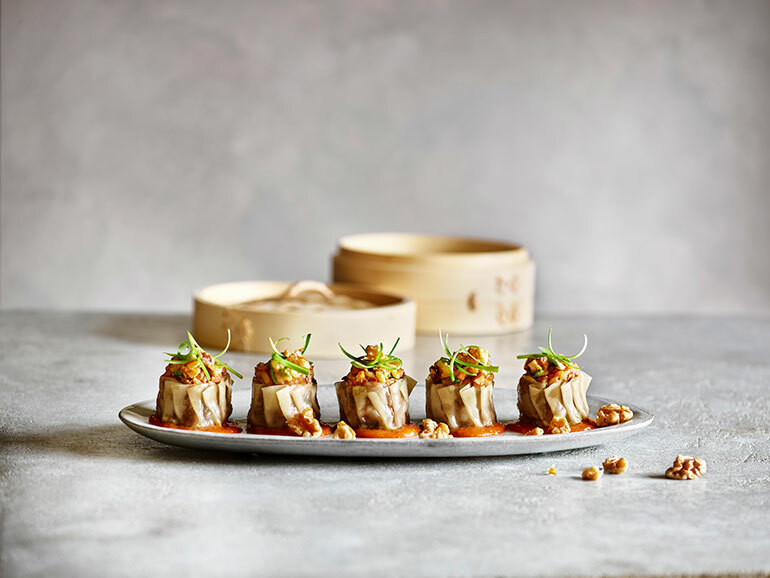 Lamb: Senova Healthcare’s Culinary Director Chris Greve created these dumplings, which include lamb shanks, braised until tender and flaky, the age-old combo of garlic-ginger-scallion and orange blossom ponzu. Walnuts: Walnuts are gaining ingredient prominence as a great meat substitute, thanks to their toothsome texture. These walnut shumai show how everything pork can do, walnuts can too. 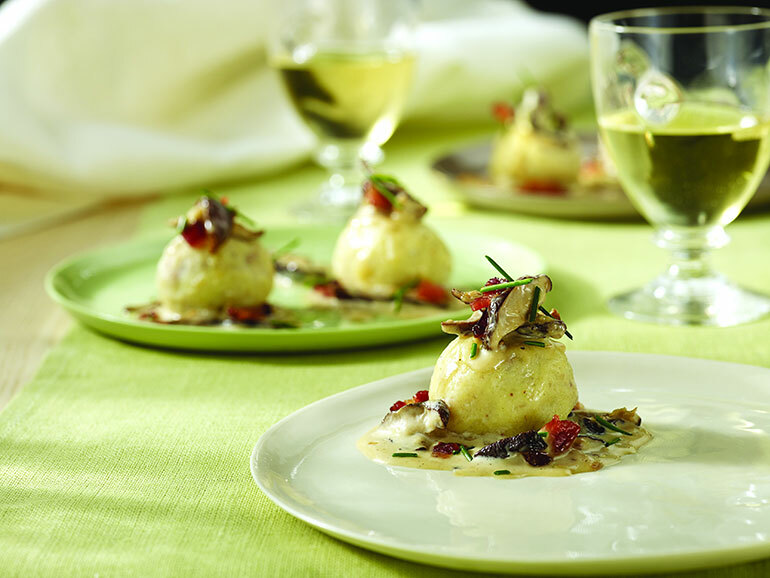 Potatoes: Crossing over into possible pierogi territory, these dumplings are filled with mashed potatoes, goat cheese and a shiitake mushroom ragout.